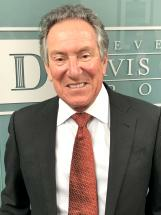 RONALD J. SEELEY is Of Counsel to the Steven D. Davis Law Group, APC. Mr. Seeley was born in Toronto, Ontario, Canada, on March 5, 1951. He attended the University of California at Santa Barbara, graduating with a B.A. in Sociology in 1973. He then attended Hastings College of the Law, University of California, where he was a member of the Moot Court Board and served as a Trial Court Extern-Clerk to the Honorable Joseph G. Kennedy, San Francisco Superior Court, before graduating with his J.D. in 1977. He was admitted to the California Bar in 1977. Mr. Seeley has served as a Member of the Faculty of the University of West Los Angeles School of Law, as a Member of the Panel of Arbitrators of the American Arbitration Association, and as a Panel Member of the Fee Arbitration Committee of the Los Angeles County Bar Association. Originally trained in the areas of insurance litigation, coverage and bad faith, construction law and third party liability defense, his practice grew to include commercial litigation and business torts, financial elder abuse and trust litigation, professional liability, fiduciary duty, State Bar matters and legal ethics, wrongful death and major injury litigation, wrongful termination, sexual harassment and employment discrimination, intellectual property and real estate litigation. He has multiple seven-figure judgments and settlements to his credit on behalf of individual and business clients in various areas of the law. He is admitted to practice in both California and Federal courts and has been AV-Rated by Martindale Hubbell for the vast majority of his thirty-eight years in private practice.